Skinnygirl founder Bethenny Frankel has taken pains to note the all-body-types, size-inclusive range of her apparel lines. 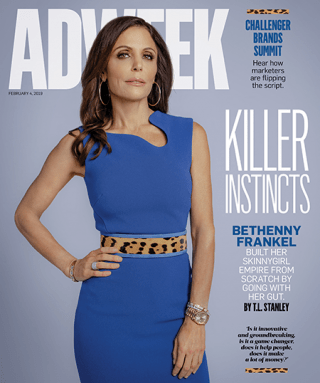 Bethenny Frankel and her partners, with the goal of building a lifestyle brand, say it does, though it took some convincing for manufacturers and retailers to get on board. Frankel has taken pains to note the all-body-types, size-inclusive range of her apparel lines, where jeans are available in sizes up to 24 and boy shorts, sweatshirts and other clothing items come in extra small to extra large. Frankel’s potential next foray into fashion tips its hat to her flagship brand, but its moniker isn’t likely to raise eyebrows. She’s trademarking Brynnygirl, named after her 8-year-old daughter, Bryn, for baby and children’s clothes, shoes, swimsuits and other pint-sized product.